DR. ALAN GRIBBEN teaches English at Auburn University at Montgomery where he was named the Nance Alumni Professor in 2006. In 2015, he became the inaugural recipient of the Auburn University Montgomery award for “Excellence Through Diversity” award. He co-founded the Mark Twain Circle of America, reviewed all Mark Twain publications for American Literary Scholarship for many years, and is the author of numerous essays on Twain’s life, works, and image. He is currently preparing an expanded revision of his Mark Twain’s Library: A Reconstruction (1980). Volume I of Mark Twain’s Literary Resources: A Reconstruction of His Library and Reading will be published in Spring 2018 (NewSouth Books, ISBN: 978-1-58838-343-3). Volumes II and III will be forthcoming in 2019. He has also written a biography of the bibliophile and library founder Harry Ransom, edited Mark Twain’s Tom Sawyer and Huckleberry Finn in seven different formats, and co-edited Mark Twain on the Move: A Travel Reader. In 2012 Dr. Gribben was named Editor of the Mark Twain Journal. Alan Gribben taught at the University of Texas at Austin for nearly two decades. There he was chosen to write a biography of the man who founded the Humanities Research Center, now the Harry Ransom Center. In doing this, Dr. Gribben captured the history of the University of Texas and its expansion during Harry Ransom’s lengthy career as an English professor and influential administrator. “Though Harry Huntt Ransom doesn’t shy away from Ransom’s flaws, it is, clearly, an admiring portrait of a man with a zealous work ethic and an ambitious vision for U.T.”–Austin American-Statesman, November 30, 2008; “Enlightening, well researched”—Dallas Morning News, June 7, 2009; “The first full-length biography of Harry Huntt Ransom, an undertaking that was eighteen years in the making. [Gribben] has succeeded in creating a well-researched account that incorporates material from both rich archival resources and personal interviews covering the life of his subject.”–Libraries & The Cultural Record 45, 3 (2010): 371. “One of the strengths of this biography is that . . . it does not shy away from noting his areas of weakness. . . . Gribben . . . managed to wholly capture the academic luminary with balance, dimension of personality, and depth of content”–RBM: A Journal of Rare Books, Manuscripts, and Cultural Heritage 12, 1 (Spring 2011): 63. NewSouth Books published the text of Twain’s novels without the n-word in brown covers. Twain’s novels with the original text have blue covers. NewSouth Books has published seven formats of Twain’s most famous novels. 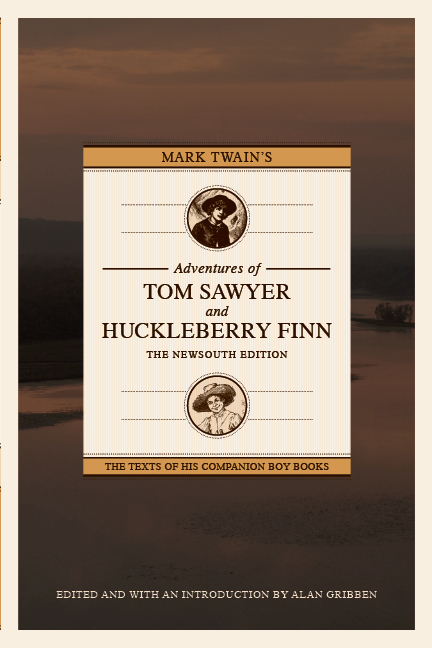 Readers, students, and teachers may choose editions of combined or separate editions of The Adventures of Tom Sawyer or Adventures of Hucklberry Finn in an Original Text Edition or the NewSouth Edition. Pagination is identical from book to book. 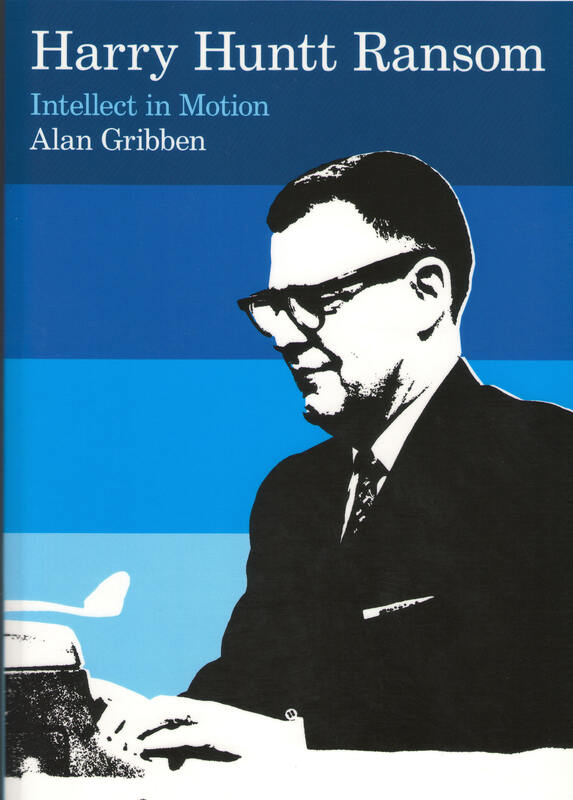 All editions have original forewords by Alan Gribben. NewSouth Edition or Original Text Edition of both novels in a combined book, Mark Twain’s Adventures of Tom Sawyer and Huckleberry Finn; and The Big Read Edition of The Adventures of Tom Sawyer. Alan Gribben and Jeffrey Alan Melton (University of Alabama) co-edited Mark Twain on the Move: A Travel Reader. Twain wrote humorously and insightfully about his many travels. Drs. Gribben and Melton gathered key passages from all five of Twain’s longer travel narratives: The Innocents Abroad (1869), Roughing It (1872), A Tramp Abroad (1880), Life on the Mississippi (1883), and Following the Equator (1897). 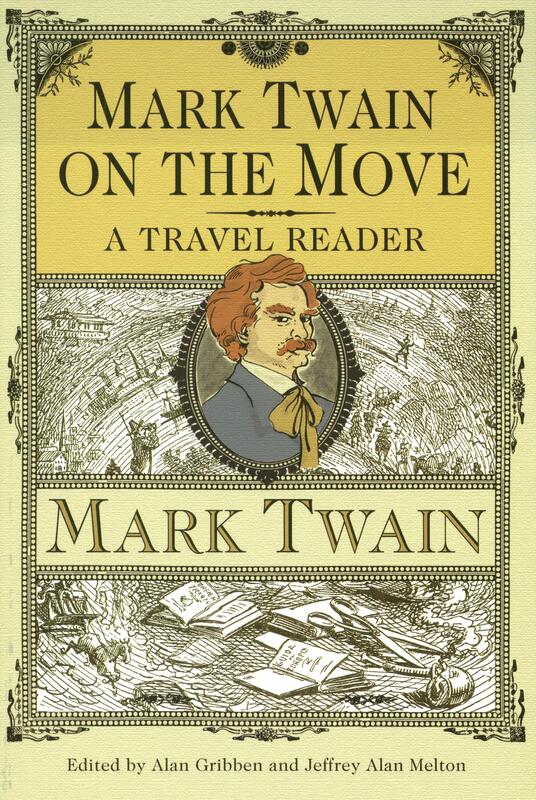 This collection presents Twain’s often irreverent impressions while on the road. He highlights the outright hazards as well as the annoying inconveniences that a nineteenth-century traveler was apt to encounter.